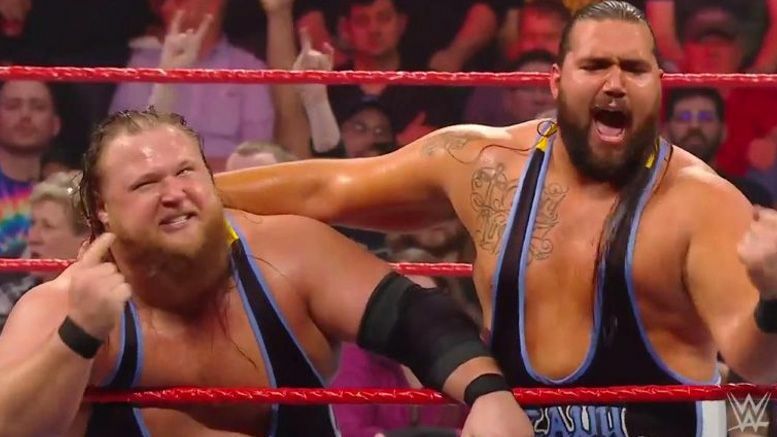 It’s official … Otis and Tucker aka Heavy Machinery are coming to SmackDown Live. WWE confirmed multiple Superstars had made the move to SmackDown after the show went off-the-air, including Liv Morgan, and hours later added Heavy Machinery to the list. Additional wrestlers who switched to SmackDown that weren’t announced on the show include Chad Gable, Mickie James and Apollo Crews. Still no word on the brand status of Nikki Cross.